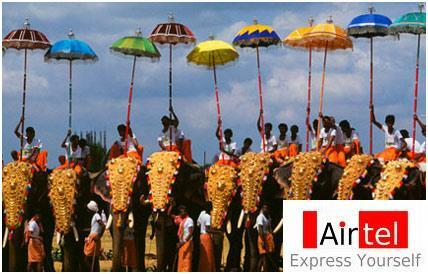 Bharti Airtel announced the launch of South at Re1 pack for its subscribers across Kerala. The new scheme priced at Rs 14 allows subscribers to make calls to any number in the southern states of Tamil Nadu, Karnataka, Andhra Pradesh and Kerala at Re 1 per minute. SMS charges to any number in these circles will be at 50 paisa per SMS. Local calls and SMS will be charged at the same rates. TATA’S GSM SERVICE WITH JAPANESE BRAND NAME!